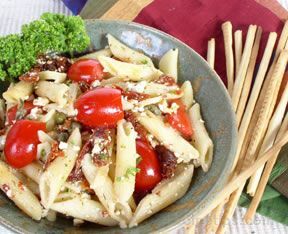 With a triple hit of antioxidants from the rosemary, thyme and oregano, this pasta salad is sure to stand out at a summer potluck. 1. Cook pasta as directed on package. Drain well. 2. Meanwhile, mix oil, vinegar, rosemary, thyme, garlic powder, oregano and sea salt in large bowl with wire whisk until well blended. 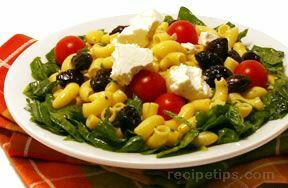 Add pasta and spinach; toss to coat well. Add tomatoes and cheeses; toss to mix well.